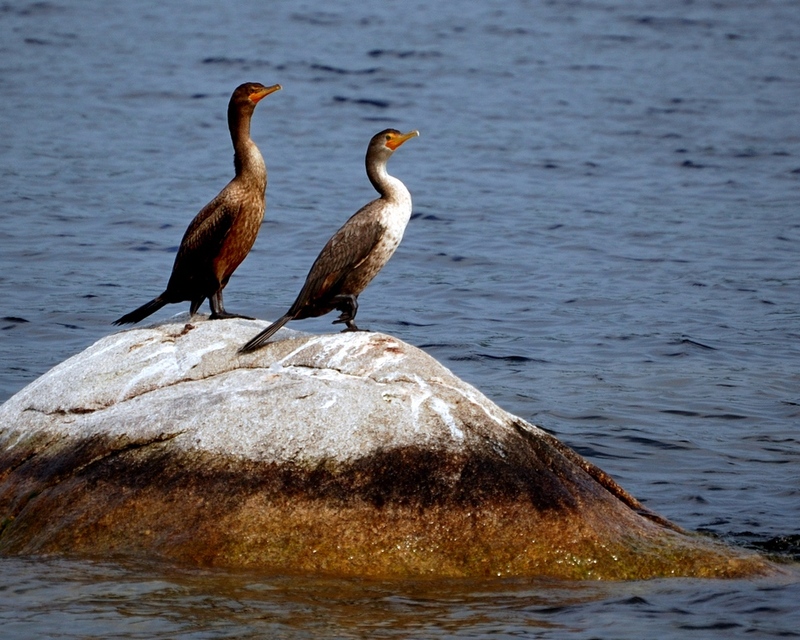 Cormorants and Anhingas are two water birds of similar size and appearance. 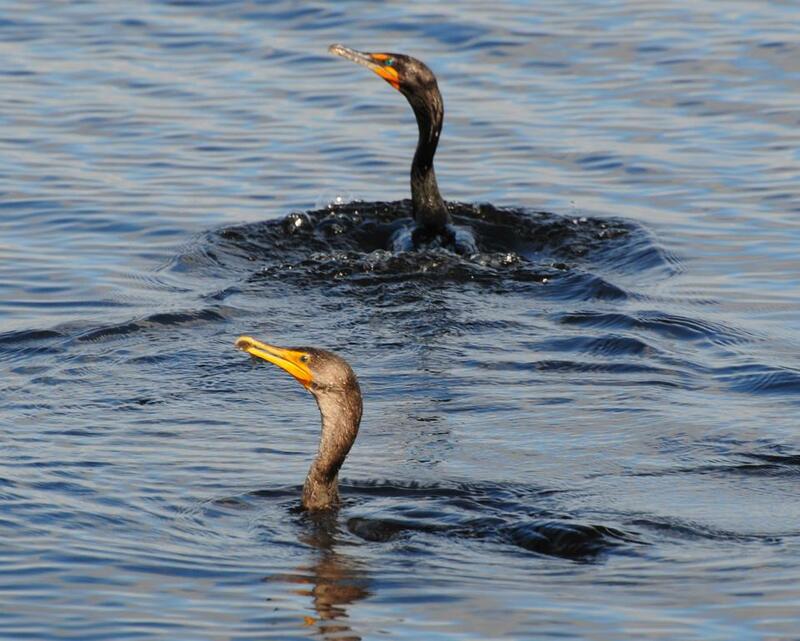 Unlike ducks, neither has natural oil in their feathers and so tend to get waterlogged as they swim. The result is that both also pose with outspread wings to dry off after feeding. The beak shape is different and is reflected in their means of catching prey. 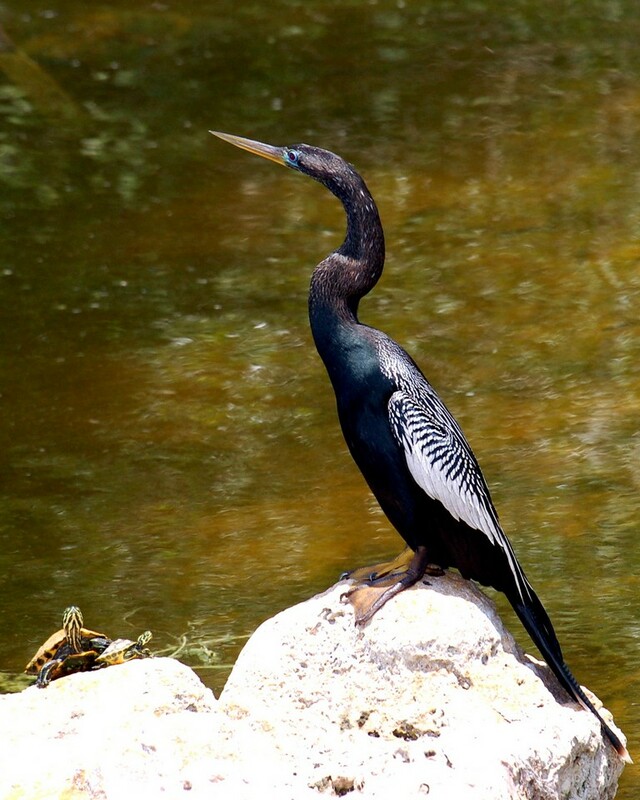 The Anhinga has a sharp pointed beak with which it stabs it’s prey. 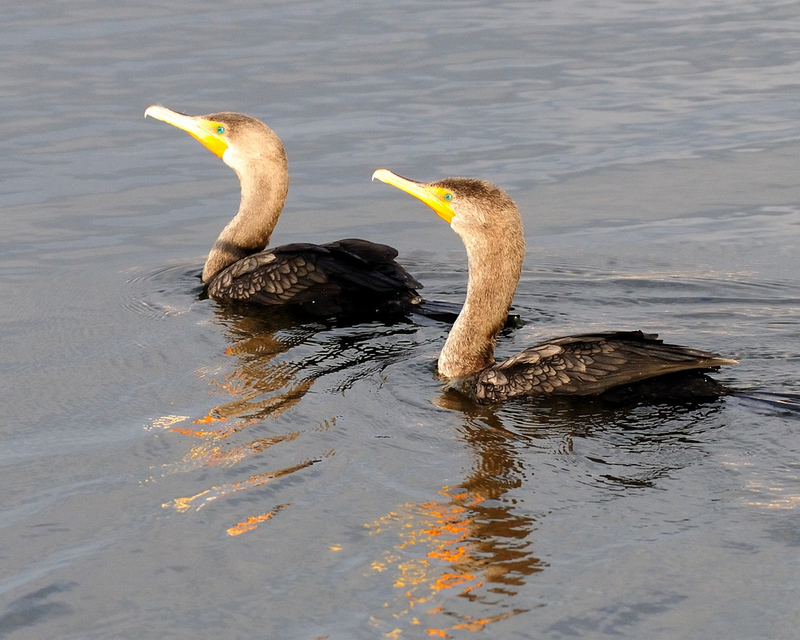 The cormorant has a hook at the end of the upper beak and catches it’s prey. 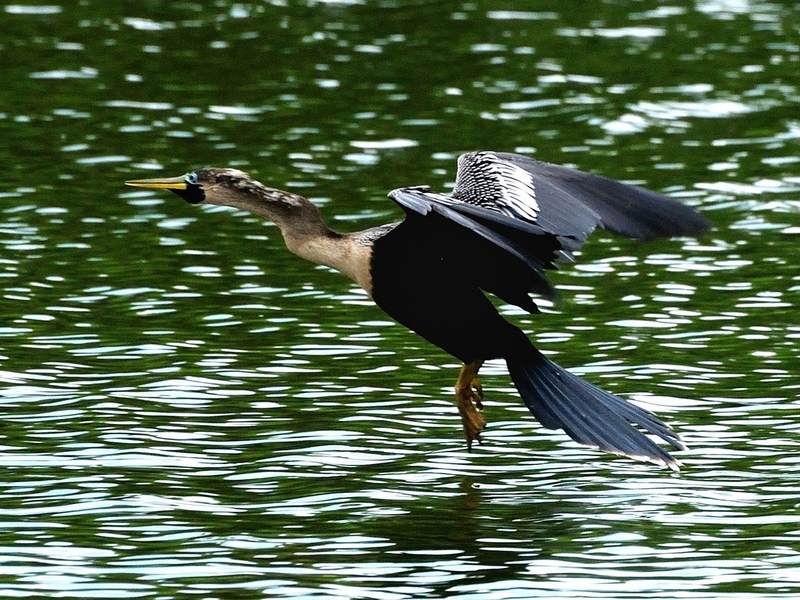 Here are a couple of shots of Anhinga’s that clearly show their pointed beak. BTW, the latin name for the anhinga is probably the simplest there ever was to remember. It’s Anhinga anhinga so you usually see it written as Anhinga (Anhinga anhinga) which probably makes it the worlds most redundant bird. The two leftmost pictures show the blue coloring around the eye that the Anhinga develops during breeding season. 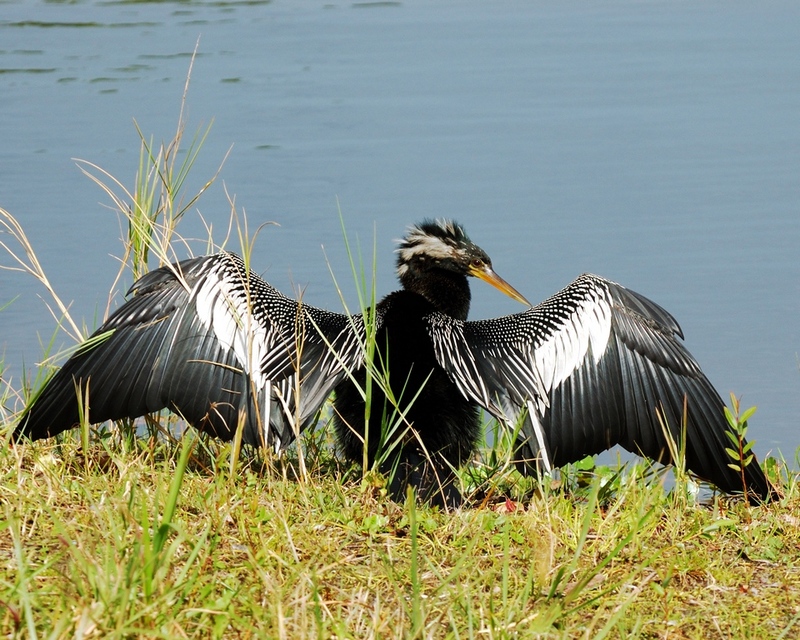 The bottom two pictures show why some folks call the Anhinga the piano bird. Around here, our we have Double Crested Cormorants (Phalacrocorax auritus) are a bit different in coloration as well as the beak shape. Here are a few shots of them. They have a beautiful blue iris all year round. 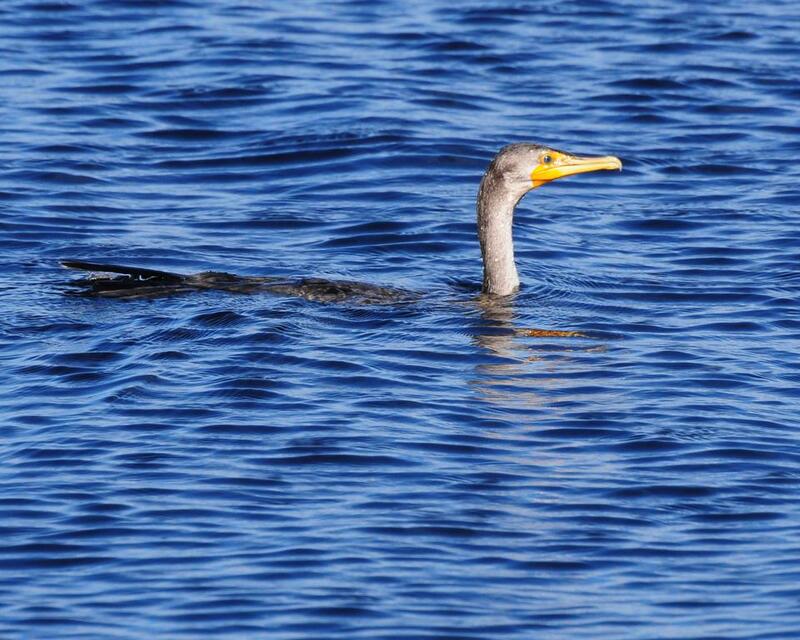 Since their body is immersed, some folks call them snakebirds from their appearance in the water. The two on the right have just entered the water. As time goes on, they get more and more waterlogged, like the pictures below, until they need to get out and dryoff. 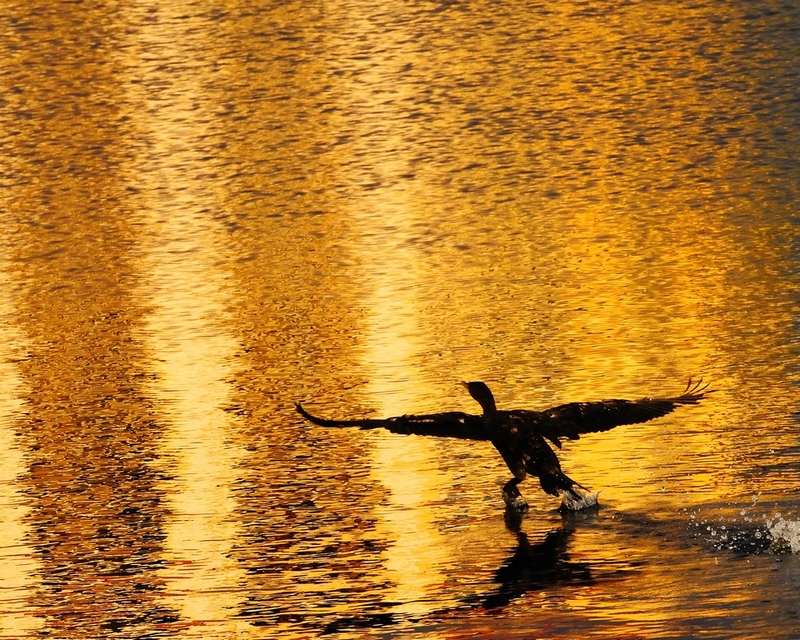 This one is a cormorant that has just lifted off the water. It doesn’t show much detail but, I just like the picture. Since they are heavy with water, taking off is something of an effort. The wings have to work really hard and they also kick off the water like a kid on a skateboard trying to get up flight speed. 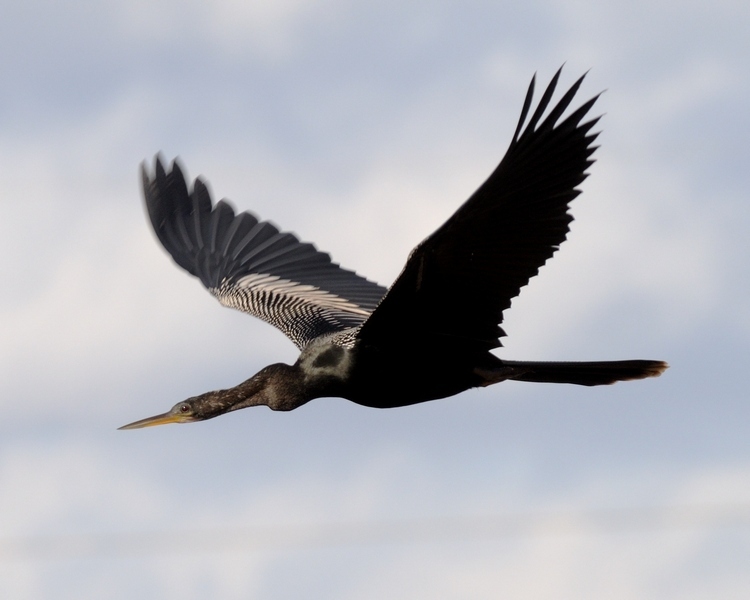 This entry was posted in Bird and tagged anhinga, cormorant, Photography. Bookmark the permalink.